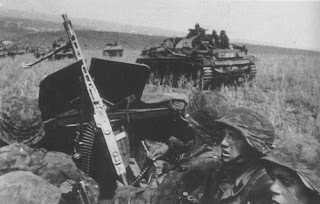 Below is a fantastic look at a panzergrenadier platoon and its support at work on the Eastern Front. The film also shows some rarities like the Panzerjager IV and the SdKfz 251/16 in action. Give it a gander below and see what ya think.